Making the most of your summer? So, the summer holidays have arrived and you want to make the most of the long days and hot sun. The children have finished school for the summer and you need to find some exciting days out to keep them entertained! If you need some inspiration look no further. There are many events and places to visit in and around Cheshunt to keep yourselves and the kids engaged for the whole summer. From nature parks to ice skating, there is something for everyone in Cheshunt. Get yourselves down to the most exciting event in town – the circus! Revel at the balance of the acrobats, the skills of the jugglers and the humour of the clowns. There is so much to see at this event – both adults and kids will love it. Head down to Bull’s Cross Field in Enfield to watch the show. Take the kids to the outdoor theatre at Forty Hall Estate in Enfield, to experience a stunning theatrical performance of The Secret Garden. Why not take some tasty kebabs as a picnic, some comfy blankets, and let the fun begin. 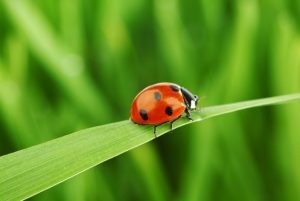 The Bug Club is a chance for children to take part in creative activities and learn about a range of different bugs including butterflies, ladybirds, and ants. These sessions are at Forty Hall Estate and are suitable for ages 4-11. Take the kids for an exciting, education filled day at Royal Gunpowder Mills (Waltham Abbey) where they will learn all things science! Activities include building and launching rockets, crazy experiments, crafting, painting, and interactive science shows. Relax in the afternoon sun at Forty Hall Estate, listening to the sounds of a variety of live reggae artists. Starting at 12 and continuing through to the evening you can enjoy a picnic on the lawns and take down some of our delicious kebabs to enjoy with a glass of prosecco or two! Make the most of the August bank holiday by enjoying the culinary delights of the Enfield summer food festival. Head down to the Forty Hall Estate for an array of street food stalls, plenty of drinks, cooking demonstrations, wine tasting and tours of the vineyard. Other activities include masterclasses, cooking talks and a tour of the farm. 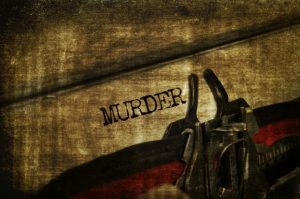 Come along for this interactive murder mystery play and see if you can solve the crime! The plot has many twists and turn and contains lots of humour along the way to keep you and your friends entertained for the evening. The mystery begins at 7pm at Forty Hall Estate. We know this is not technically in the summer holidays…but we all need something to look forward too! As the winter months draw in and the nights get colder take some rest bite in an evening of comedy with Ed Byrne. The night begins at 8pm at The Spotlight in Hoddesdon. Take your seats and settle in for an evening full of laughter. This beautiful park stretches out for 26 miles from Hertfordshire to London. Within the park there are a range of activities including cycling, nature trails, horse riding, golf, tennis, ice skating and river walks. There are also many camping sites for some fun family camping. Within the park there is also an animal farm in Waltham Abbey where the kids can get involved in a range of activities. And for the risk takers there is a white-water rafting centre at Waltham Cross! Take the children for a wild day out at the zoo. Home to animals such as tigers, jaguars, penguins, pandas, monkeys, meerkats, and sloths the children will be entertained for the whole day. For a real treat for the family you can take part in animal experiences including ‘meet the meerkats’, ‘sloth experience’ and tiger/lion feeding. Go Ape provides excitement for all ages with its high ropes tree top adventure. Climb trees, walk high above the forest, and fly down the zip line – it’s all possible here. This is a great activity for families, couples, and friends to enjoy. After all that activity head down to mega charcoal grill for a well-deserved treat. The ever-popular escape rooms are a great place for a day out in the summer. Choose your room and the clock begins, you then have 60 minutes to escape! Can you do it? It’s all about teamwork in this game. We wish you a brilliant summer with lots of fun-filled days!